All Opn hearing aids are available in three technology levels to suit your lifestyle and budget: Opn 1 (Premium), Opn 2 (Advanced) and Opn 3 (Essential). In addition, all hearing aids in the Opn family (including the IIC) feature the unique Open Sound Navigator™ feature discussed in more detail below. 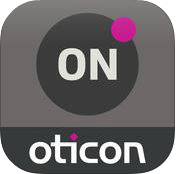 In addition to groundbreaking hearing aid technology that outperforms previous generation hearing aids, the Opn range (excluding the IIC/CIC style) is also Oticon’s first ‘Made for iPhone’ hearing aid, meaning the hearing aids can connect wirelessly to your iPhone without the need for any addition accessories. Focus Hearing has access to the full range of Oticon Opn styles available, with the more popular styles listed below. These benefits are delivered by Oticon OpenSound Navigator™ and SpatialSound™ LX. The OpenSound Navigator scans the environments 100 times per second, balances the sound sources and can even reduce noise between words. Improved processing between the two hearing aids, delivers more precise information about which direction sounds are coming from. World’s first dual wireless communicationfor best possible performance and accessory free connectivity with significantly lower battery consumption. 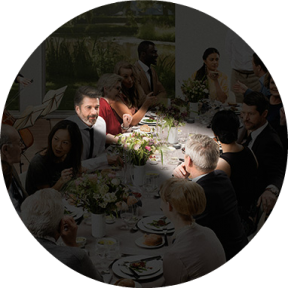 The new Velux platform behind the Opn technology provides 200% faster NearField Communication for faster communication between the two hearing aids. 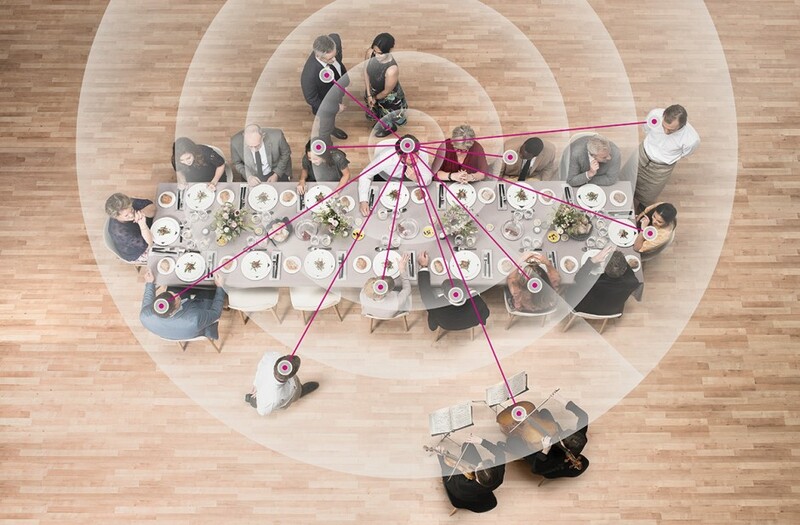 2.4GHz communication for accessory free connectivity to your devices such as a mobile phone. 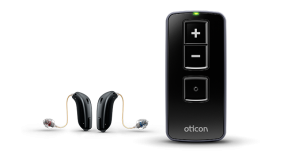 Oticon have released a rechargeable kit for the Opn miniRITE family of hearing aids. The rechargeable option for the Opn hearing aids provides a significant level of convenience due to not having to change batteries regularly and you do not even have to open the battery door at night to turn the hearing aids off when charging. 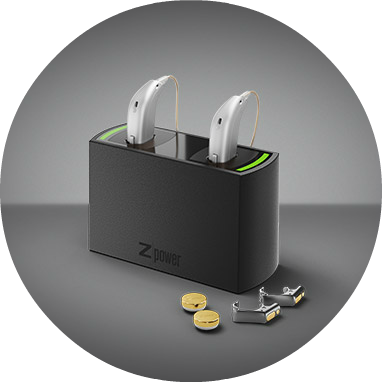 In addition, if you forget to charge the batteries or you are without power you can simply put conventional batteries into your Opn hearing aids so you do not miss a thing. A single overnight charge provides sufficient power for a standard days usage. The Oticon Opn miniRITE hearing aid is nano-coated both inside and out to allow it to repel water molecules, which means you do not have to worry about wearing your hearing aids if it is raining or if you are undertaking an activity which means you will sweat excessively. 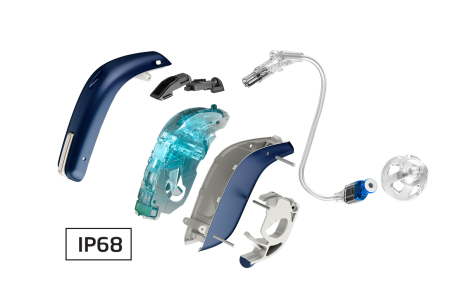 The Opn hearing aids have an IP68 rating against water and dust resistance. Oticon Opn wirelessly connects directly to your iPhone without the need for an additional neck worn accessory. The hearing aids double as a wireless headset which allows you to enjoy perfectly clear audio (from phone calls, music or video) streamed directly to the hearing aids.